Who are Tamborine Health Services? 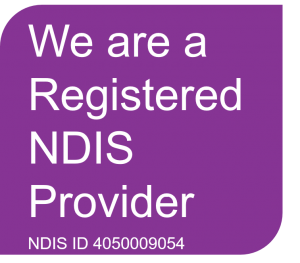 Tamborine Health Services (THS) are registered with the National Disability Insurance Agency (NDIA) to deliver support to participants under the NDIS. Our staff have a variety of skills and life/work experiences, we embrace this diversity and support them in developing their expertise and capacity to have an awesome work/life balance. Disability Support Workers are a valued part of our team here at THS. They work as part of our cohesive team whilst also being able to work autonomously, to assist our service users to achieve their goals as documented in their NDIS plans. As a Support Worker for THS you will be expected to ensure that our service users rights, privacy, confidentiality and dignity are always upheld. You will work closely with our service users to promote choice, and independence whilst providing excellent customer service in a friendly, positive and efficient manner. Our Support Workers understand the importance of clear communication, being able to communicate with clients, their families, advocates and others is an integral part of this role. As a requirement under the Disabilities Services Act 2006 all our Support Workers must possess a Positive Notice Card. As part of Tamborine Health Services commitment to quality and safety, we require all our Support Workers to meet strict criteria including reference and qualification checks, gain a Blue Card, current First Aid and CPR Certificate, and complete a thorough induction process. We also support them to obtain a Standard Mental Health First Aid Certificate. Home and Yard Maintenance assistants have a great eye for detail, they are efficient and take pride in their work. They can work well with others, sharing and encouraging them to participate and are happy to get the job done. They are good communicators, non-judgemental and compassionate and follow organisational and Health and Safety protocols. They have a high sense of integrity and respect the privacy and confidentiality of our clients. Working as a Home and Yard Maintenance assistant, you will ensure that service users homes are kept in a clean and comfortable condition in accordance with our clients individual needs and wishes. Tamborine Health Services commitment to quality and safety, we require all our staff to meet strict criteria including reference and qualification checks. Current CPR Certificate, and complete a thorough induction process. We also support them to obtain a Standard Mental Health First Aid Certificate. They are good listeners, compassionate, kind, have a strong sense of integrity and a committment to providing a high quality recovery focussed psycho-social service to the participants who chose our service as their providers. They are great team players and will to support their colleagues. Administration staff provide a variety of administration duties as part of our multi-disciplinary team. They are often the first person our clients talk to and as such they must provide a friendly, positive and professional manner at all times. They must work well under pressure and to deadlines, have knowledge of legislation, Health and Safety requirements and organisational policies and procedures. Our Administration staff have excellent communication and interpersonal skills, always maintaining confidentiality and discretion.